Dr. Constantin Rădulescu Stadium or informally to fans CFR Cluj Stadium, is a purpose built football stadium located in the Gruia district of Romania’s second city, Cluj-Napoca. 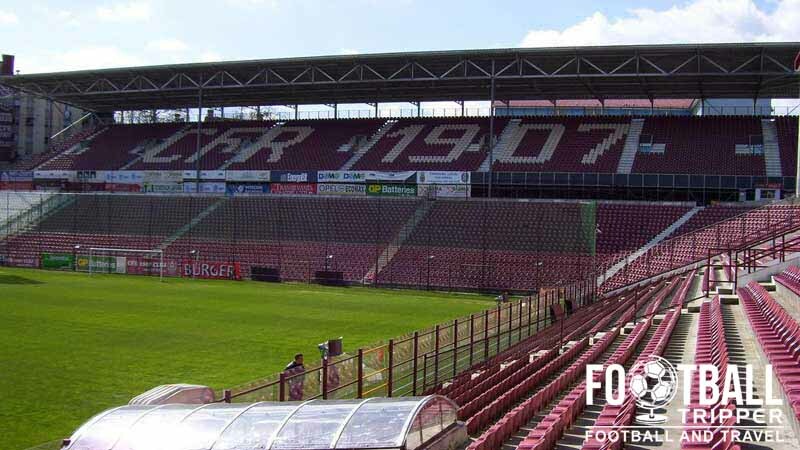 Home to CFR Cluj since opening in 1973, the 23,500 capacity ground was most recently renovated in 2008. Stadionul Dr. Constantin Rădulescu first opened in 1973 with a capacity of just 10,000. At the time it was built CFR Cluj were languishing the lower tiers of Romanian football, and thus the club’s requirements for the new stadium were very basic. 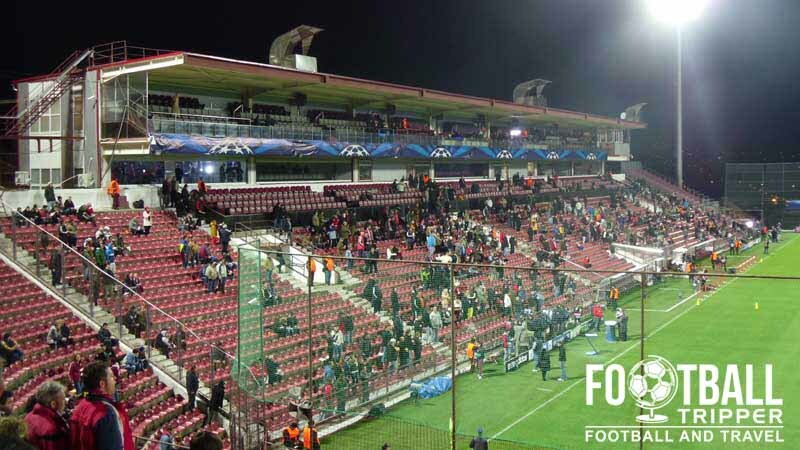 Since 2002 however CFR Cluj’s stadium requirements have greatly changed, as the club put their newly found financial muscle to good use. 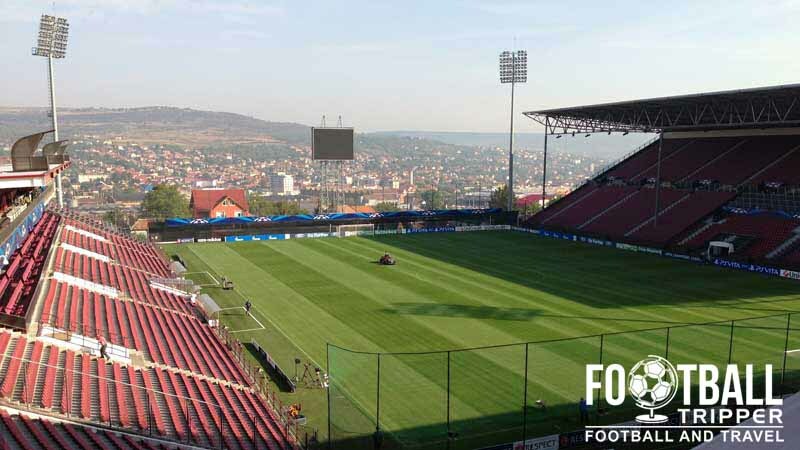 After earning promotion to Liga I in 2004, CFR Cluj immediately invested over €10 million euros into upgrading the matchday facilities such as the floodlights, the type of grass used and the players changing rooms. The newly renovated facilities were reopened to coincide with the club’s 100th anniversary, and S.L Benfica were invited to play a friendly match and to celebrate the occasion. During the 2007/2008 season CFR Cluj were crowned Champions of Liga I for the first time in their history which meant participation in the Champions League. Now subject to UEFA’s stadium regulations, the club hired Dico Si Tiganas, the architectural firm who designed Cluj Arena to redesign Stadionul Dr. Constantin Rădulescu. 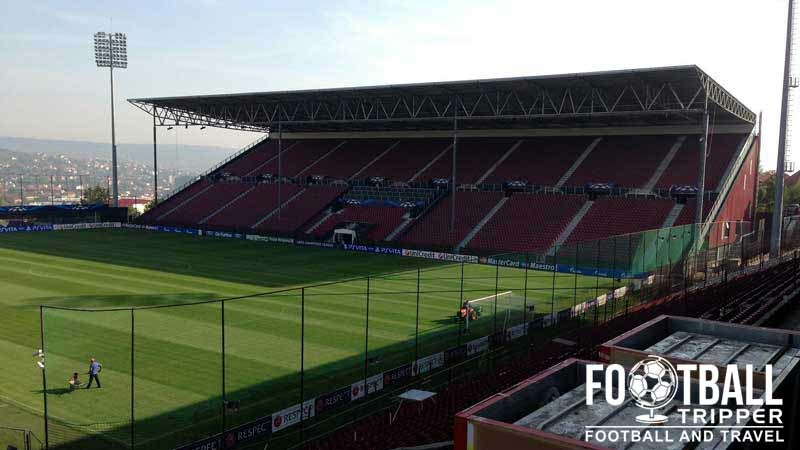 Costing an estimated 30 million euros, three new stands were erected resulting in a capacity of 23,500. Now classified as a 3 star stadium by UEFA, the investment proved to be worth every penny when CFR Cluj were drawn in a group containing three European heavyweights: AS Roma, Chelsea FC, and Girondins de Bordeaux. Despite finishing last with 4 points, participation in the Champions League offered the club valuable experience, and Stadionul Dr. Constantin Rădulescu had now been upgraded to one of the finest stadiums in Romania. Not content with the current ground, there are currently plans to complete the stadium with the construction of a new 2,000 capacity stand at the northern end of the pitch. 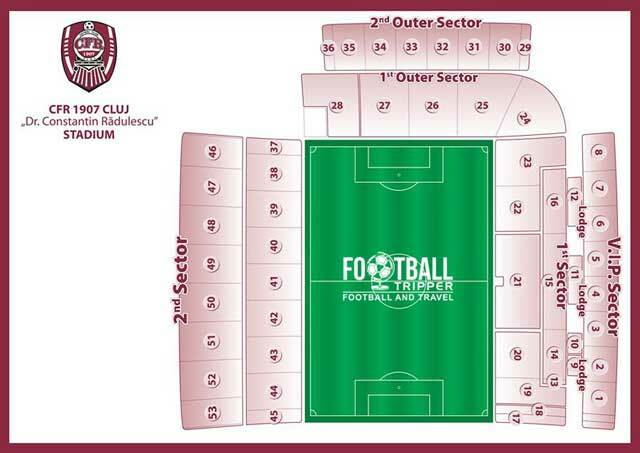 Currently unoccupied, a new stand would be the final piece of the four sided puzzle for CFR Cluj Stadium. Stadionul Dr. Constantin Rădulescu is comprised of four stands: North, East, South and West.